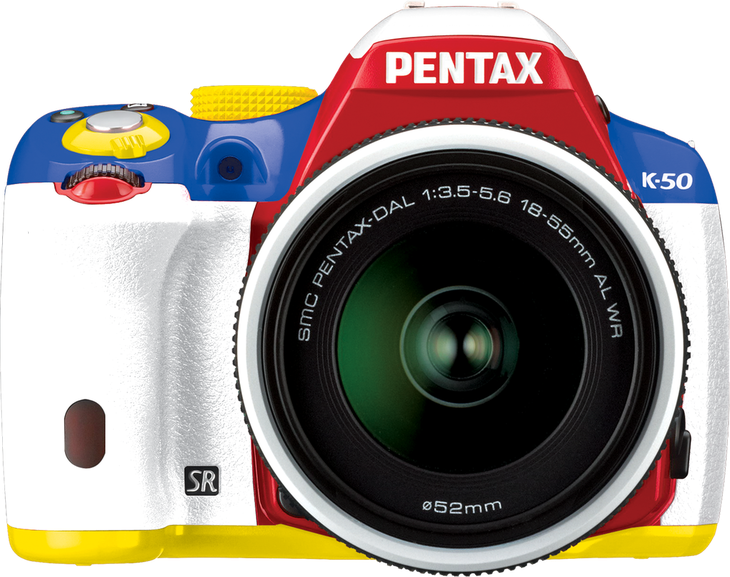 Pentax has just unveiled the K50 Philippines Limited Edition. We spotted it early during the DPP8 celebration in BGC, last May 10, where camera enthusiasts unite and have fun while learning priceless tips from known PROS in the industry, local and foreign. The K-50 Philippines Limited Edition is priced at PHP 32,990 and comes with a Weather-resistant kit lens(18-55mm) to match its weather-sealed body. But for those who will have unit(s) reserved on or before the 15th of June(Delivery date), early birds will get something more. Through reservation, if you pay in full before the delivery date you can also get your free 35mm F2.4 Prime, which is around 10,000.00 if purchased separately. This early bird promo is win-win purchase from Pentax Philippines. 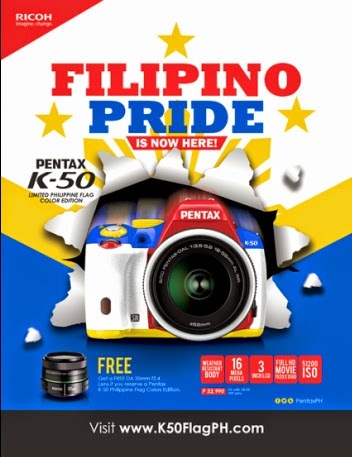 Not only you'll get the Philippine Edition of Pentax K-50 in red, white, blue and yellow, but also a 355mm prime lens to get your photography skills ready for your next adventure in stills or in HD.